Hello, New York City, I’m back! Even more exciting? By the time this posts, I’ll have met up up with fellow Monochromia photographers Joe and Patti from New York and Robyn from Pennsylvania, plus Nicci from California, Robert from Connecticut, Robin from Virginia, and Leanne from Australia! 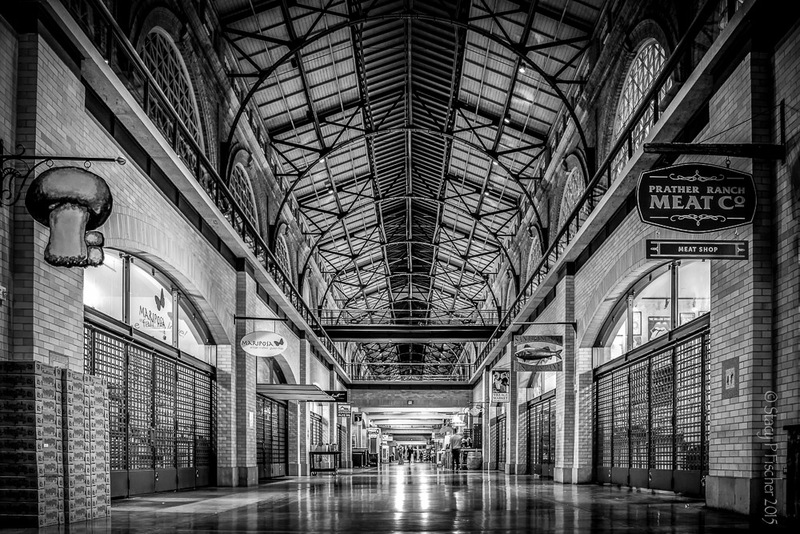 This entry was posted in Architecture, Black & White, Monochromia, Motion, New York City, Places, Street Photography and tagged black and white, Fuji X100T, New York City, photography, postaday, urban photography. Bookmark the permalink. Very interesting, regular architecture and people moving! What a super fantastic shot Stacy, the blur passing by the still captures the wonderful atmosphere and energy of this amazing place with all its beautiful detail. So much fun spending time here in NYC with you and Joe, until next time! I had quite a few shots, but this one was my favorite for exactly the reason you said, Patti. The couple standing at the central counter amidst the frenetic surrounding activity just made this photo for me, so thanks for picking up on the same thing 🙂 I’m just starting to get to my photos from this second time ’round and am looking forward to reliving the wonderful moments of yet another day spent with you in my favorite city! Seems like we were both trying to relay the dynamism of the activity in Manhattan in the shots we picked to illustrate our meeting. Robert, I apparently had missed seeing your post, so just went and found it 🙂 Left my comments on your post, of course, but wow, wow, wow! Yup, so much activity in NYC just crying out to be captured! This is so neat. You’ve captured motion and stillness in the same shot. I like it a lot. 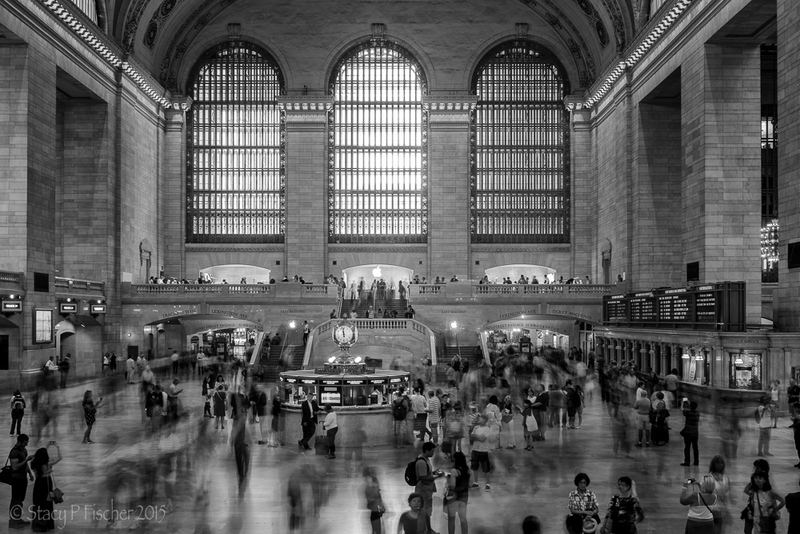 The magic of Grand Central Station 🙂 Thanks, Ida! Love this picture combining the motion and the stillness. Have fun with the photographers ! I LOVE blogger gatherings! My best to you all as you prowl about the city, cameras in hand. Nice. The black and white plus blur give it movement plus a historic look.